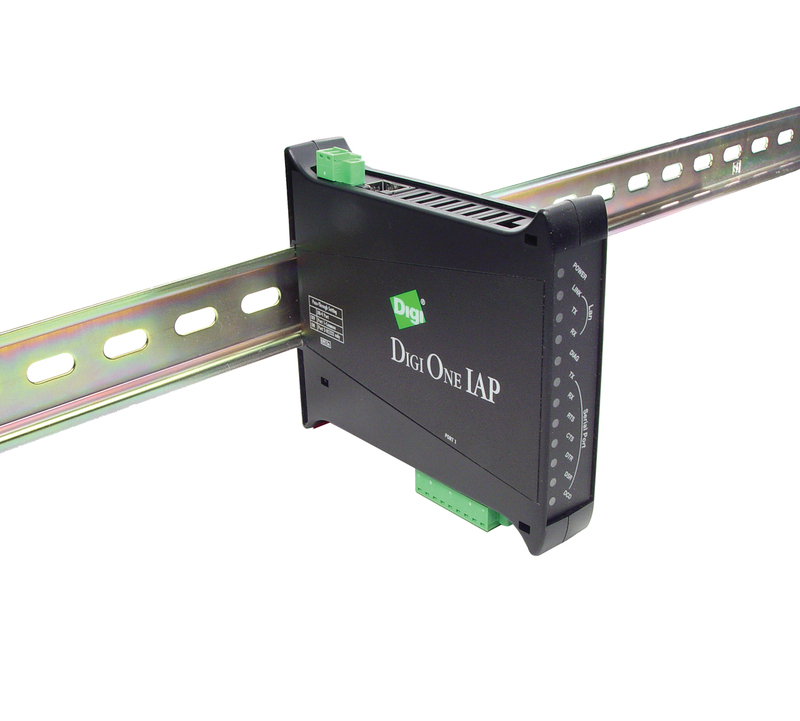 Digi One IAP combines reliable serial-to-Ethernet connectivity with protocol conversion and interoperability. Users can IP enable a broad range of serial devices, as well as link two industrial devices. It is ideal for device management applications requiring specific industry protocol support. Serial server functionality built into Digi One IAP allows any serial device to be connected to a TCP/IP network. Applications may communicate with the serial device using TCP/UDP or Digi’s patented RealPort® COM port redirector for remote native COM port access. Digi One IAP supports a variety of serial and Ethernet protocols, allowing users to bridge serial and Ethernet devices, or both. Multi-master access allows multiple masters to communicate with a single slave across protocols. 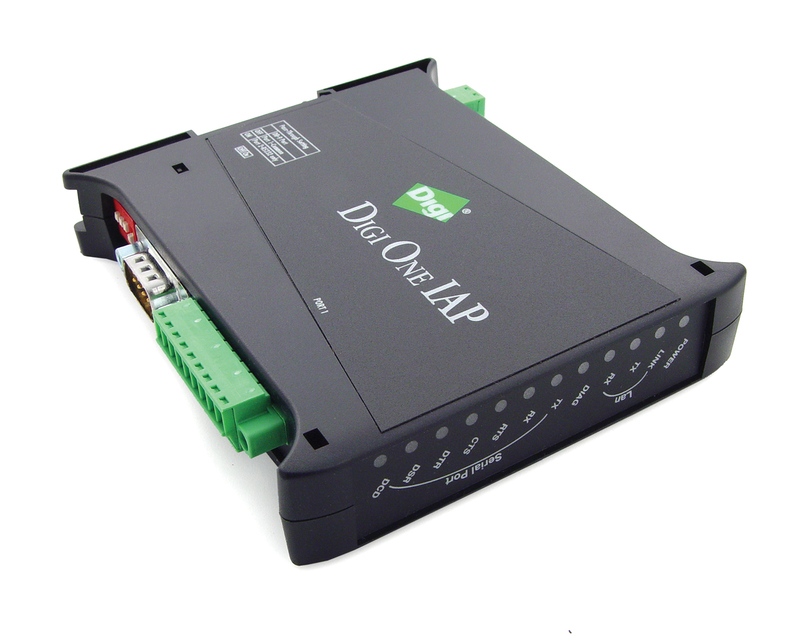 Digi One IAP converts ASCII data from serial devices to Ethernet protocols. An additional serial port can act as a pass-through port, allowing local devices to communicate with a slave unit without disrupting the serial-to-Ethernet connection. Weiterführende Links zu "DIGI ONE IAP"
Kundenbewertungen für "DIGI ONE IAP"